Archangel Global Solutions is a Philippine recruitment agency with your needs in mind. We keep the recruitment process extremely simple. Before anything else, please be advised that you as the employer will be asked submit documents like Agency Agreement, Demand Letter, Power of Attorney, Employment Contracts. To get started on these documents, click here. Once you've started on the POEA documentation, tell us what you're looking for. As an employment agency, it is very important that we get your job specifications for the Filipino staff you wish to hire. Like any other type of recruitment, the success rate for depends highly on the skills match and the salary being offered. While Filipinos are indeed eager to work abroad, it does not mean they are willing to pick up any salary you offer. Consider the skill set you need and what you are willing to pay for such a skill set. Take note there are alot of employment agencies in the Philippines - and job applicants often shop around before settling down on an offer, most especially if their skills are very much in demand. Once we get your job specifications, we work on sourcing your Filipino workers. The time it takes for us to get back to you with CVs vary greatly, depending on the job specifications you are looking for. We ask for a minimum of three days to check our own job database and revert to you with potential candidates. The next phase includes actual shortlisting and interviews, with or without the employer's/principal's active presence locally. It is during this time that we actively recruit the applicants, screen resumes, and engage in the interview process. Applicants who meet the requirements are then forwarded to the employer/principal for final selection. We facilitate all processing of employer/principal accreditation requirements with the Philippine Overseas Employment Administration (POEA) and all applicant deployment documents, and even offer assistance in flight booking and ticketing. Trust our experience in the recruitment business. If you have other questions regarding the recruitment process, please feel free to contact us. We generally charge an equivalent of one month's salary as our service fee. This fee structure does not apply to household workers/domestic helpers. For household workers and for agents working on behalf of employers, please contact us directly to inquire. As an employer, we are sure you have many questions about how to hire workers from the Philippines through a POEA agency. 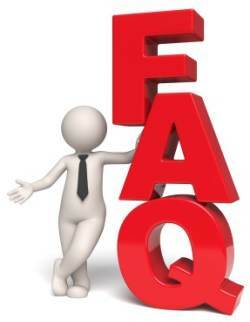 Get the answers right here from your trusted employment firm in Manila - Archangel Global Solutions. What is the first step if I want to hire workers from the Philippines? The first thing to do would be to email us your detailed requirements. We need information on the position, qualifications, and salary that you would provide as an employer. It is important that we know the salary because we contact the candidates in our database prior to forwarding cvs for your consideration, so that we can get a feeler on their willingness to accept your stated salary. Please note that as per Philippine government regulations, insurance, roundtrip airfare, accommodation, and food allowance are mandatory for most countries where the candidate will be working. The next step in the recruitment process would be to start on the accreditation documents.